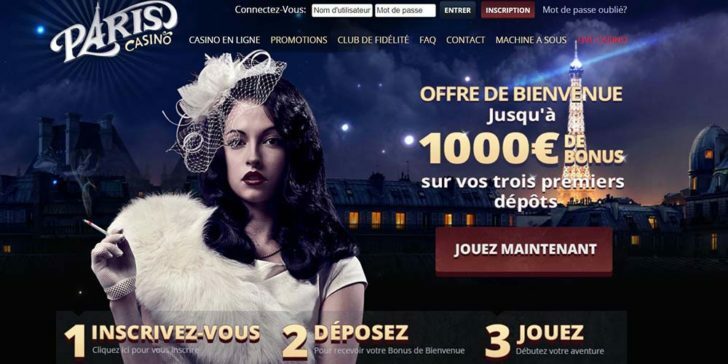 Paris Casino Welcome Bonus dishes out up to €1000 welcome bonus in 3 deposits. New players receive 100% match bonus up to €250 upon their first deposit. Your second deposit brings 25% match bonus up to €250 and the third deposit will come with up to €500 bonus money as a result of the 50% match bonus. Claim! Claim at Paris Casino! Check out the latest online casino bonuses in the United States! To learn more about the best Online Casino Sites in the United States, take a look at the Online Casino Reviews section. To read other bonuses please check online bonuses page.